Marriott International is bringing one of its upscale brands to the Cascades Project underway in downtown Tallahassee. AC Hotels by Marriott is building a $30-million, seven-story hotel with more than 5,000 square feet of flexible meeting space, which would be suitable for conventions, a longtime request of the business community. 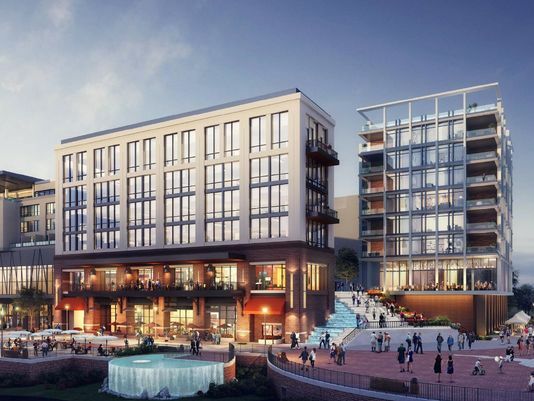 It also will have 154 rooms, a rooftop bar serving craft beers, signature drinks, tapas and an observation deck overlooking the 24-acre Cascades Park. Residence Inn Sunny Isles Beach opened as the winter tourism season approaches, and the 194-room hotel expects to attract business travelers as well as tourists. Rooms in the 19-story Residence Inn at 17700 Collins Avenue are apartment-inspired suites for extended stays. Each has a kitchenette equipped with a coffeemaker, microwave oven and other appliances. Guests can use a grocery delivery service at the new Residence Inn or shop at an on-site food and beverage store open 24 hours a day. The hotel’s design is intended to convey “a home-away-from home feel,” Robert Finvarb, owner of the Residence Inn and a real estate company bearing his name, said in a prepared statement. Other features aimed at business travelers include more than 9,000 square feet of meeting space in three conference areas and two rooftop decks. The property also has a business library with facilities for faxing, copying and printing. The hotel has a poolside restaurant, Ocean View on Nine, serving breakfast, lunch and dinner. The new Residence Inn also features a contemporary art collection throughout the hotel, assembled Dina Mitrani of Dina Mitrani Gallery. Miami-based KobiKarp Architecture & Interior Designled the design of the hotel. Now under new ownership, the former Brookwood Inn on Elba Street near Duke University’s campus in Durham has completed its conversion into a Cambria-branded hotel. Choice Hotels International, Inc., one of the world’s largets hotel companies, annouced it has signed an agreement with Concord Hospitatlity and the Robert Finvarb Companies to develop a new Cambris hotel & suites in Durham, NC. The future Courtyard New York Downtown Manhattan/World Trade Center has topped out at 133 Greenwich St, and framing proceeds apace. It’s being co-developed by Hidrock Properties and Robert Finvarb Cos. 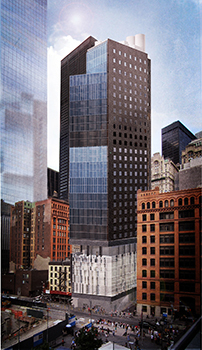 Situated on the perimeter of the World Trade Center site, the hotel will represent a symbolic return for Marriott International when it opens, projected to be in Q1 2016. The newly constructed AC Hotel, at 2912 Collins Avenue, across from the Miami Beach Edition, has 150 rooms in seven stories, with an eighth-floor, rooftop pool with panoramic views. The hotel is the first ground-up of its kind in the U.S.,” Robert Finvarb, president of Robert Finvarb Companies, told The Real Deal. The newly constructed AC Hotel, at 2912 Collins Avenue, across from the Miami Beach Edition, has 150 rooms in seven stories, with an eighth-floor, rooftop pool with panoramic views. he hotel is the first ground-up of its kind in the U.S.,” Robert Finvarb, president of Robert Finvarb Companies, told The Real Deal. When hotel developer Robert Finvarb underwrites an opportunity, he goes in with his eyes wide open, understanding that there’s a very high probability market conditions will change in the two or three years before the structure is built. He conservatively structures transactions to be able to weather the inevitable storm that will come during his ownership. Robert Finvarb Companies finalized an agreement with Marriott International to build the first ground-up AC Hotel in the United States in Miami Beach. This new hotel will combine its European design with a cutting edge 150-room hotel in the most dynamic tourist destination in the world. Robert Finvarb Companies and Hyatt Hotels have executed a franchise agreement for the development of a 105-room Hyatt Hotel together with more than 9,000 square feet of retail space in the heart of South Beach at the corner of 16th street and Collins Avenue. 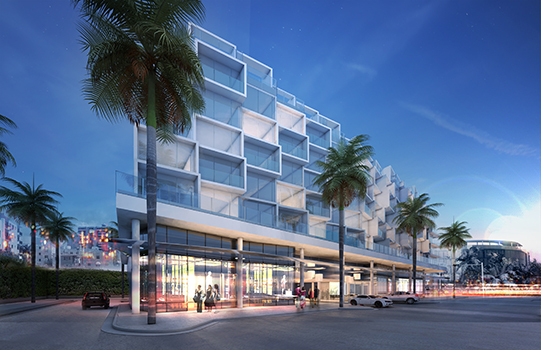 This project represents the first Hyatt branded hotel in Miami Beach. Robert Finvarb Companies, in a joint venture with Hidrock Reality, purchased a vacant lot near the World Trade Center site in lower Manhattan with plans to build a 300-room hotel. This property is ideally located within walking distance of NYC’s Financial District and the 9/11 Memorial with easy access to the Statue of Liberty, Ellis Island, South Street Seaport, and SOHO NYC. Miami based Robert Finvarb Companies acquired the 161-room Springhill Suites in Lincolnshire, IL. The company purchased the property in order to further diversify its portfolio geographically in adding another Marriott Springhill Suites to our portfolio.